Loved this place - had everything we needed to feel at home and comfortable. Close to public transit. Would stay here again! Your home was one of the best VRBO EXPERIENCES I’ve ever had. You all were so nice and you place had such Amazing energy! Had a great stay. Home was comfortable, cozy, and stylish. Great location for our needs. Thank you for your hospitality. We loved the Brownstone. We were in the Penthouse up the stairs but not to many for us. The place was well stocked and had a little deck out the kitchen window with a view of the Freedom Tower. Beds were comfortable. We had a great time. Thank you, David and Jacqui. The appartment was lovely, clean and comfortable. We loved the artwork ! Location is great. The whole family had a wonderful stay (the kids enjoyed the box of games). We will be back for sure ! 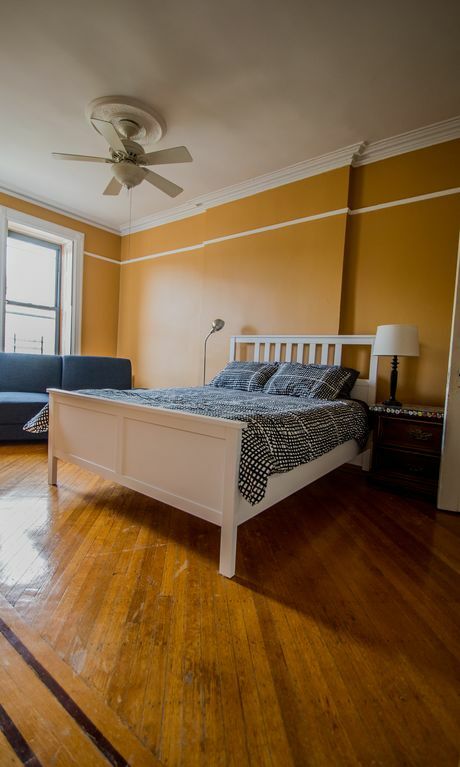 Comfortable, great location, friendly hosts!